The war is over - at least for HTC and Nokia. The two hardware makers have reached an agreement that ends years of pending and ongoing patent litigation. This truce comes just two days after a German court handed Nokia a decisive victory that would have required HTC to redesign several of its phones. As part of the agreement, HTC will pay Nokia an undisclosed amount, presumably for patent licensing, so it doesn't have to go back to the drawing board for some of its devices. 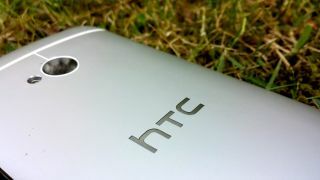 But the agreement doesn't only cover patents, and it appears Nokia and HTC are about to become closer than ever. This deal also covers a "technology collaboration agreement," according to an announcement made by Nokia. That means the companies will be working together on HTC's portfolio of LTE patents and on "future technology collaboration opportunities." "We are very pleased to have reached a settlement and collaboration agreement with HTC, which is a long-standing licensee for Nokia's standards essential patents," Nokia Chief Intellectual Property Officer Paul Melin said in the company's statement. Likewise, HTC is "pleased to come to this agreement, which will enable us to stay focused on innovation for consumers," HTC general counsel Grace Lei said. Nokia began whacking HTC over the head with the Patent Hammer of Truth in 2012, and has since won victories in the US, England and Germany. Can you really blame HTC for wanting to settle things amicably? After all, it's no Apple or Samsung, waging a never-ending and pointless war.